Cape Reinga (the leaping place of the spirits) is the northernmost point of New Zealands north island. 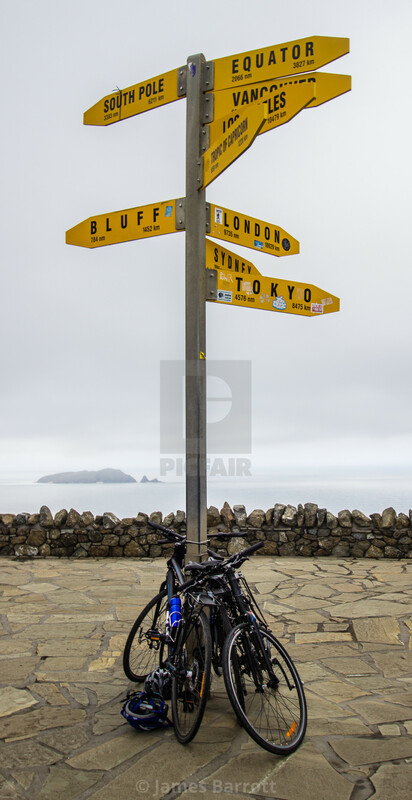 The signpost tells you that you and your bike have 1452km to travel before you arrive in Bluff at the southern end of the south island . In a straight line.